The upcoming version of Android has already been made available to certain devices for beta testing, but we won't see the official release of Android Nougat until sometime later this year, maybe even sooner than expected. The trouble here is that Google has made it really hard to wait patiently, because they've basically just teased us with a massive visual overhaul to the world's biggest mobile operating system. 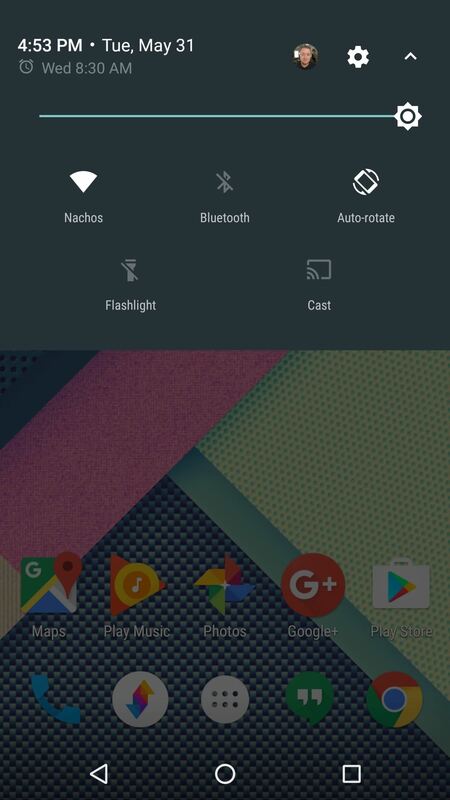 For the impatient folks out there, we covered an Xposed module called Android N-ify that gave you Android Nougat's redesigned Settings menu on Lollipop or Marshmallow. But this module recently received a massive update, and now you can get the new-style notifications, Quick Settings panel, and recent apps as well, so it's definitely worth revisiting. As I mentioned, this is a mod we've covered before, and the bulk of the set-up process has remained unchanged. So rather than covering all of the minor details again, I'll simply show you how to enable and adjust the new features in Android N-ify. This video shows the initial setup; see below for instructions on the new features. 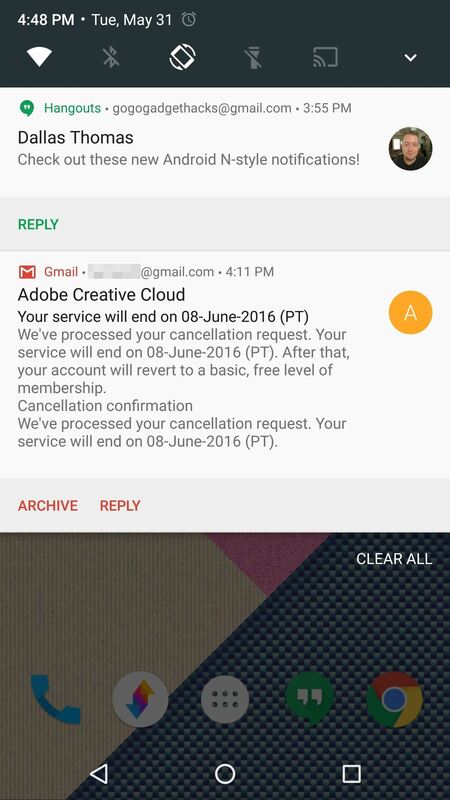 With the module installed and activated, all of the new Android N-style tweaks will be enabled by default. But if you'd like to adjust any of these, the pertinent settings are in the Recents, Status bar header, and Notifications sections. 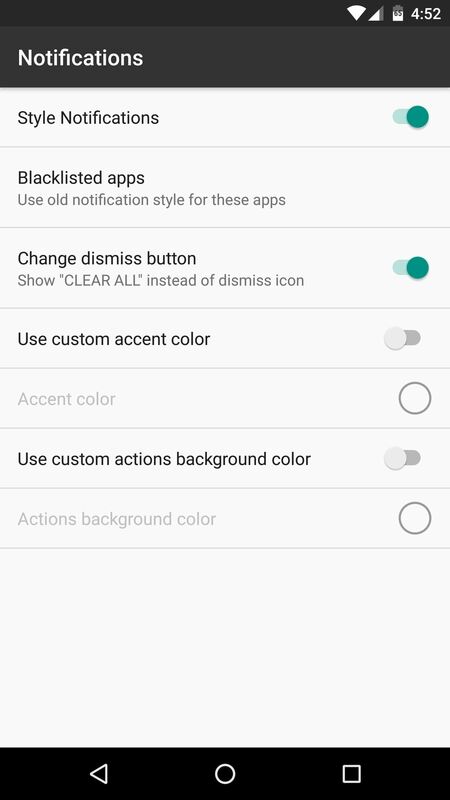 From here, you can opt to leave the Quick Settings panel background color unaltered, you can hide icons from the Android N-style mini Quick Settings view, and you can set custom accent colors for the new notifications, among other things. But once you've got everything set up to your liking, your phone or tablet will look and feel almost exactly like the upcoming version of Android. 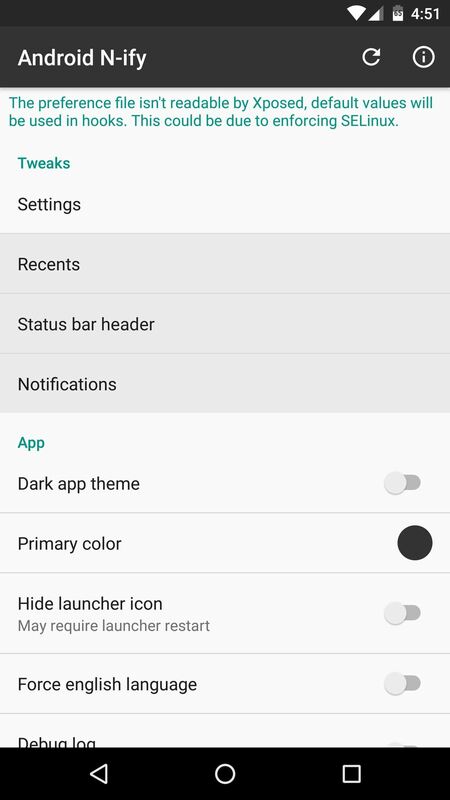 The new notification shade includes a handful of mini Quick Settings, but you can expand it to view the full suite. 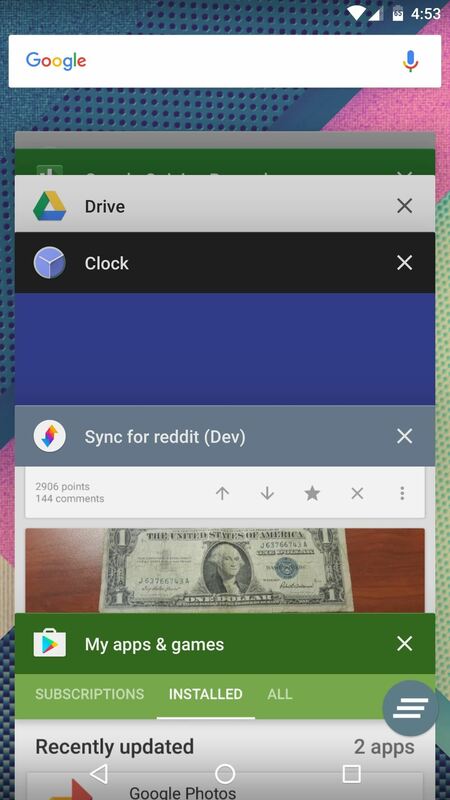 Aside from that, notifications have been re-styled in the look of Android N, and entries in the recent apps menu now sport bigger preview thumbnails, just like Android N.
(1) New notifications/mini Quick Settings. 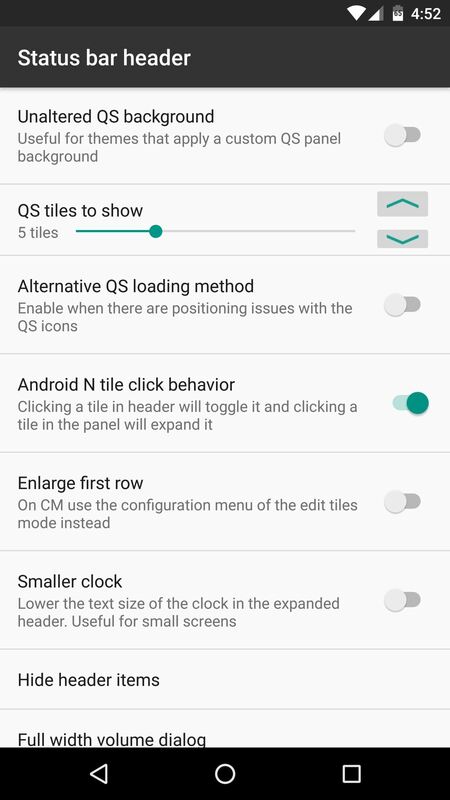 (2) Expanded Quick Settings. (3) Bigger recent apps. Get More Nougat Features Now! That's great. I love these new features !